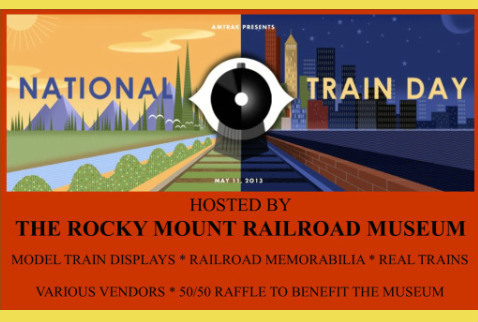 Amtrak Train Day is an annual and national event that Rocky Mount has hosted since May 2012. Different cities throughout the United States celebrate this day, in May, with their own selections of entertainment. Our events have included a puppet show and a theatrical skit, various vendors, operational model train layouts, displays and handouts.The museum looks forward to this annual event and the happiness that it brings to all of our guests, especially the children.